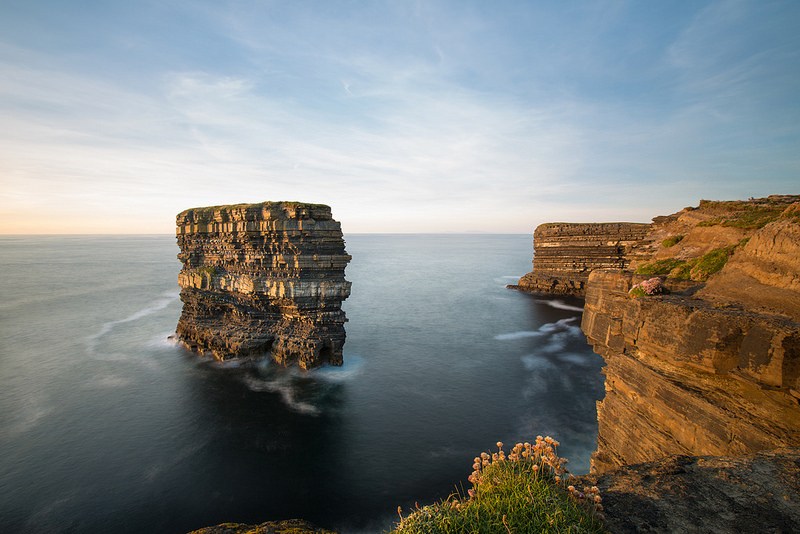 One of my favourite places on the wild Atlantic way has to be Downpatrick Head in my home county of Mayo. I have visited it many times in all sorts of weather, sometimes it been so wild it’s impossible to even attempt setting the camera up on a tripod! but always worth a visit none the less! A small bit of planning was involved,entry into the cave should only be attempted when there’s a very low spring tide and sea and weather conditions are good. These three things were in my favour on Sunday afternoon in late July where I got a small window of about 12 minutes inside the cave to get a few shots before the waves came and forced me to leg it back around the base of the headland threading carefully on the slippery ridge. The selfie shot was my most popular shot of the year and was a big hit on Facebook and Instagram and I was delighted to be featured on the very popular official Wild Atlantic Way Instagram page and also to be included in one of the Best ’18 In 18 ‘ shots of 2018 on their website. ‘Aisling and John’s big day kicked off for me with Aisling and her bridesmaids at her Airbnb, where I was joined once again by ‘NEIL DUFFY’ (Videographer). ‘Gemma Crossan’ and ‘Shauna McCoy’ were on hair and makeup duties. After the bridal party preparations were finished we made our way towards Aisling’s Mum and Dad’s house for a quick stop off. I then headed off to the church to meet up with John and his groomsmen before the ceremony began. It was great to be back shooting again in Rooskey. After the ceremony, we travelled to Westport and stopped off en-route at “The National Museum of Country Life” in Turlough, for some bridal party shots. The grounds there always look great in Autumn! When we got to Westport the couple received a lovely welcome at ‘Knockranny’ from Claire and her team. Following a lovely meal there were some great speeches. A night of dancing was kicked off by the band ‘Who Knows’. It was a pleasure to have been part of Aisling and Johns special day. I met up with Aisling and John the month before their big day at ‘Lough Key Forest Park’ on quite a wet afternoon, we were lucky enough to get access to the temple building on the lake for some shots and shelter! I also got to meet Aisling and John’s little daughter Saoirse for a few family portraits. I was lucky enough to be the overall winner. 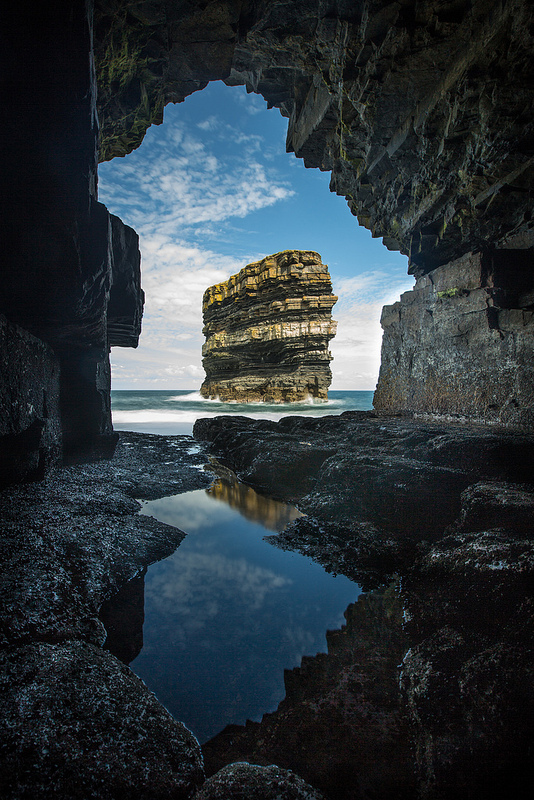 As part of the prize twelve of the best Images were selected for a ‘VW 2018 Calender’- all proceeds go towards the charity ‘Pieta House’. We were treated to a brilliant all expenses covered day trip to the VW Headquarters in Wolfsburg back in September. ‘Nora and Paul’s’ September Wedding was at the stunning ‘Castle Dargan Hotel’ in Sligo. The day kicked off when I met up with Paul and his best man Rob, for some portraits at the hotel, as the staff were putting the final touches to the Coach House lounge for the ceremony. I left Paul and Rob to play the waiting game as I joined Nora and her bridesmaid Kathy for some portraits in the old Castle Dargan House. There was a short shower of rain as Nora and her dad made their way to the Coach House for the ceremony but thankfully that was the last of the rain till later in the evening. After a lovely ceremony myself and the bridal party made our way into the gorgeous grounds for some shots. The beauty of having the ceremony at the hotel is that it gives the couple extra time to spend with their guests. After the speeches were over ‘Deja Groove’ were setting up and made sure the night got off to great start with their upbeat tunes. A big ‘Congratulations’ to Nora and Paul, and thank you for choosing me to capture your special day.